As much time as I spend on the internet because of this job of mine I see new products that are coming out all the time. There are so many times that I see something and I say, I just have to try that! That is how I felt when I saw these M&M’S® Pumpkin Spice Latte! My first question was, where can I find these? I must try them! Well you can find them exclusively at Target! Who doesn’t love to go to Target and hit up that dollar section while you are there? I know I do! I picked up a pretty orange and white bowl, some festive sprinkles and burlap! I am full into fall baking right now and I thought why not make some cake! Well my cake did not turn out as planned because it always sticks to the pan! I mean always my friends. I can grease, I can flour and it just doesn’t want to come out. So I decided to do cupcakes. My kids were happy because they love cupcakes, especially when there are M&M’S involved! By the way you can get a Cartwheel offer right now for these M&M’S® Pumpkin Spice Latte and Dunkin’ Donuts® Pumpkin Spice Coffee. For this particular cupcake I decided to add some Dunkin’ Donuts® Pumpkin Spice Coffee to my Pillsbury® Perfectly Pumpkin Cake Mix! And let me just tell you what a perfect mix it was! You can smell the spices as soon as you open the package and see the pretty pumpkin color when you start to mix your ingredients together! Everything else is pretty standard in making these cupcakes. Add some eggs, oil and water and don’t forget the coffee! ENJOY! 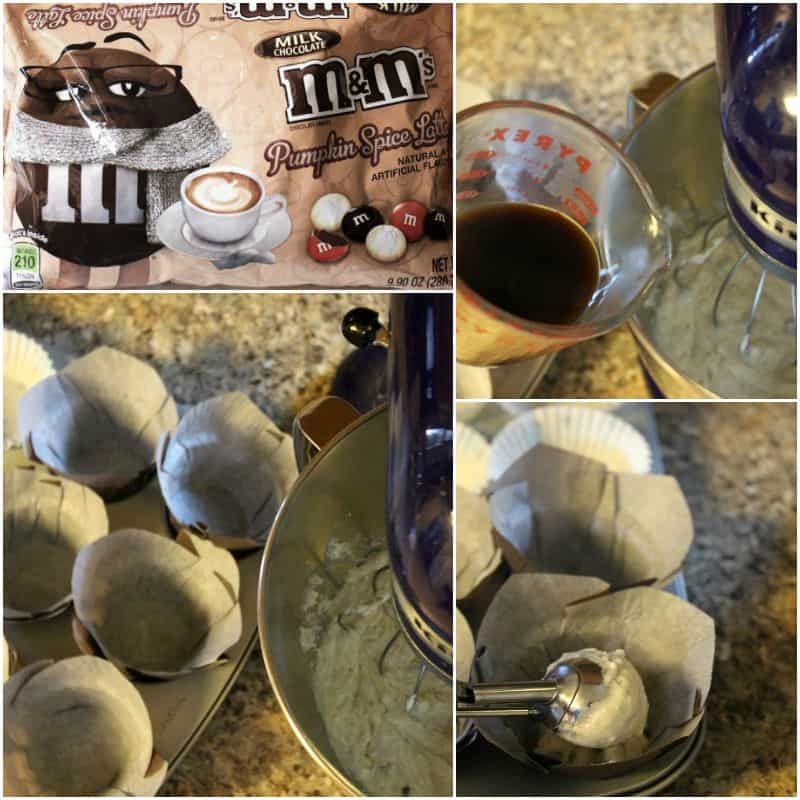 Line two 12 cup muffin tins with baking liners. Mix together cake mix, eggs, water, oil and coffee. Bake for 19-23 minutes or until toothpick inserted comes out clean. Add powdered sugar, 1/2 cup at a time to the cream cheese. Store in air tight container in refrigerator for up to 1 week. Now don’t be fooled if you head to Target and you can’t find the cake mix. In my store I found the mix in the seasonal department. The M&M’S were front and center so it made it easy to see and the coffee was well of course, on the coffee aisle! Tell me, what kind of cake would you like to make? What a great combo! 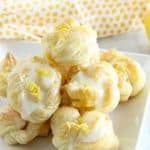 Really a smart recipe and I love the photos! 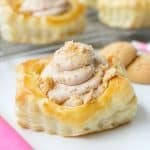 What a fun treat for Halloween or just anytime throughout the fall! Now I’ll be on the lookout of those M&Ms. 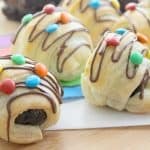 Passing this recipe on to a friend who I know would go crazy for these. Thanks for the great recipe. 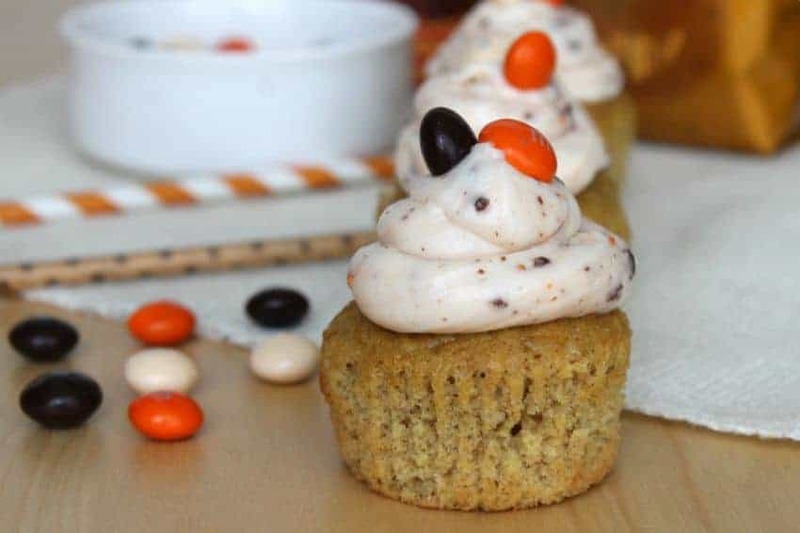 Let the pumpkin love fest start with these cupcakes! Pumpkin-ed to the max! I know quite a few pumpkin spice latte fans, this is something they’d go crazy for! I didn’t know there were pumpkin spice M&M’s!! 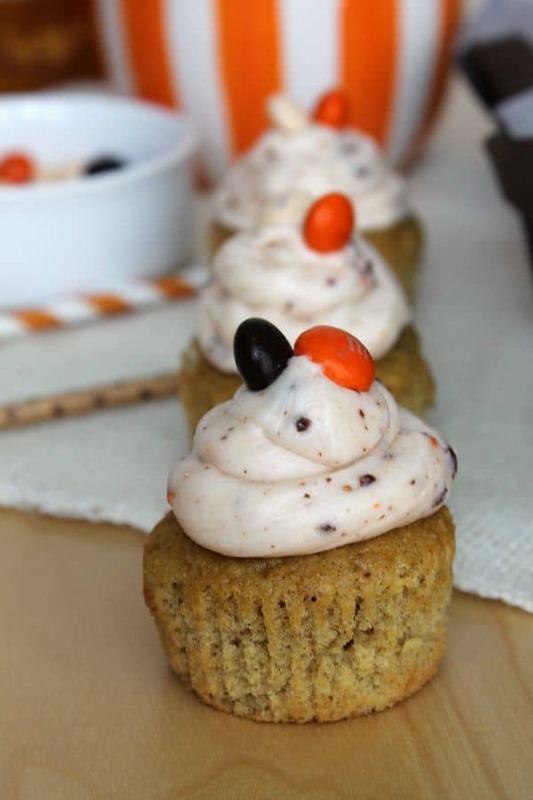 Love these cuties for Halloween, and dying over that flavor combo! Pinned! Wow! We only have regular and peanut M&Ms here. Lol. Y’all are way ahead. I bet they’re amazing on these cupcakes! I love M&M’s and am suddenly craving them big time. 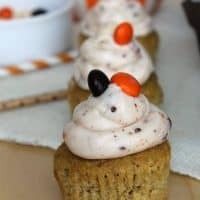 These cupcakes are perfect for a fall party or bake sale. So pretty and the aroma when they bake must be out of this world. Yum! These cupcakes are so festive! I would love these for Halloween! What pretty cupcakes! I love knowing when these new products are coming (or other seasonal ones we cannot get enough of — like Candy Cane Hershey’s Kisses. Mmm). I see a trip to Target in my future! These cupcakes sound awesome, Nancy! These are cute! And what a fun twist on the pumpkin spice latte love that is so huge this time of year! Love pumpkin anything – these are fun to make too! 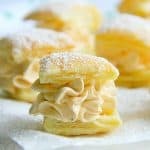 I don’t care much for the PSL’s at Starbucks, but desserts inspired by it are a completely different story! 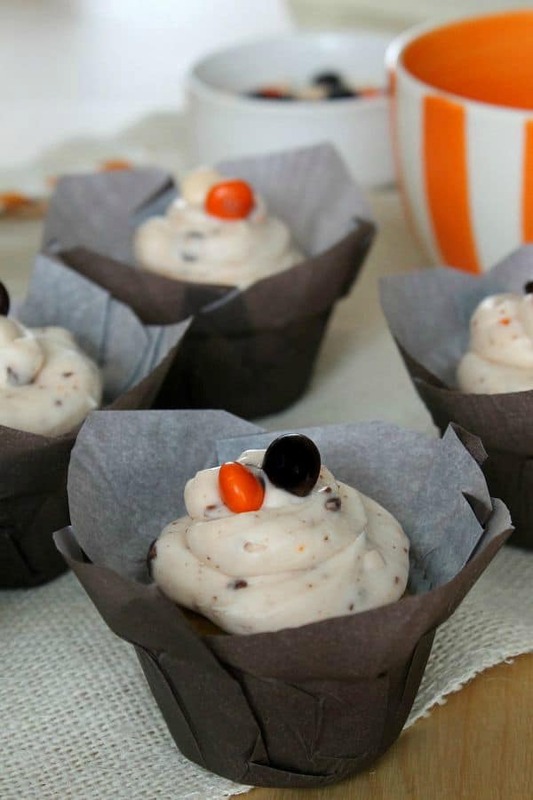 These cupcakes look so moist and delicious, and those M&M’s sound addicting! 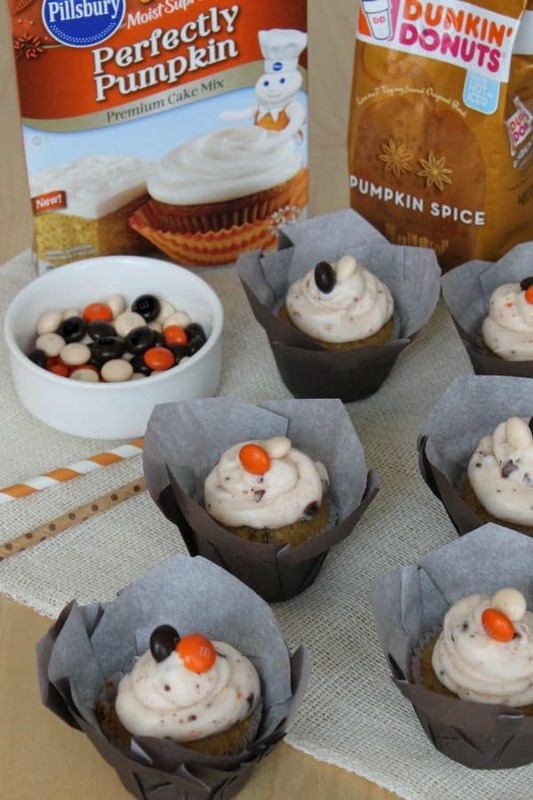 I LOVE that you turned a PSL into a cupcake! These look so good, Nancy!